To better understand China’s foreign policy in this turbulent era, this collection of three articles traces the trajectory of its evolution, delves into the way discourse is tweaked even when it deceptively duplicates that used elsewhere, and probes the record to date of megaprojects to bring the Belt and Road Initiative (BRI) to fruition. It will take some time to discern what is meant by socialism and what a major power will do as opposed to a rising power. Some observers are narrowing the notion of socialism to the distribution of power inside China, concentrating on new features of centralized political power in the hands of Xi Jinping. This overlooks socialism as an ideology with some of the elements of the traditional communist ideology—although many others have been dropped. It omits socialism as an historical legacy, which is sacrosanct. Finally, it ignores the way socialism filters through policies on economic reform to block certain changes in the market, on civilizational pride to avert a convergence in values, and on control over information and social organization, which render the Chinese state close to a monolith facing the outside world. Presumably, China, as a major power, is more assertive internationally, insisting on its own leadership and offering answers for other states to adopt. It is confident in dealing with lesser powers and cooperative only to a degree with the other truly major power, the United States. Already the BRI is indicative of China taking the lead in regional transformation, the Asian Infrastructure Investment Bank (AIIB) enables China to play a central role financially, and the Shanghai Cooperation Organization (SCO) is a wide-ranging answer to coopting neighbors politically. Poised between the domestic political developments that have made 2017 a year of transformation and the November Asian summits that will clarify the impact of such internal changes on bilateral and multilateral relations, China is trying to steer the US realignment in Asia under Trump, to manage Abe’s pursuit of closer ties to China while not holding back on constitutional revision and a closer US alliance, and to find a path to its desired outcome on the Korean Peninsula under the shadow of war as Kim Jong-un draws closer to the capability to hit the United States with nuclear-armed missiles and Trump raises the specter of a preventive military strike. Donald Trump offers unprecedented opportunities for China to advance a G2 strategy, but he also threatens unpredictability in East Asia, which could accelerate the region’s polarization. Xi Jinping prefers to suspend, for now, any moves to undermine the US military presence in Asia and US alliances with Japan and South Korea to first manage the crisis over North Korea and Trump’s threats to existing trade arrangements. Xi’s policy appears flexible, as seen in intensified sanctions against North Korea to avoid strong secondary sanctions from the United States against Chinese firms. The three articles that follow approach Chinese foreign policy from different angles. First, Ryan Hass traces its trajectory, concluding that China has evolved from reactive assertiveness to opportunistic activism, as evidenced on the eve of the 19th Party Congress. Second, Alice Ekman discusses how China is shaping the international order through what she calls “discourse softening,” and how this has widened the definitional gap in how countries interpret key concepts and expressions used in multilateral settings. Lastly, Yun Sun studies the prospects and challenges of China’s mega projects, through three case studies in Southeast Asia, namely Myanmar, Laos, and Thailand. China’s immediate goals have changed. Deng wanted to preserve a period of strategic opportunity to increase China’s relative national power before stepping toward the center of the regional and global stage. He advised that thorny external challenges be shelved for subsequent generations. Around 2009, due to China’s self-realization of its growing national power, this approach was changing, but Dai Bingguo shut down discussion in an authoritative commentary reaffirming that conditions were not yet ripe for China to take on greater global responsibilities, and that China would continue to adhere to Deng’s dictum of hiding its capabilities and biding its time. Nevertheless, to assuage hawkish constituencies, China did become more reactively assertive during this period, Hass argues. Its national strength had reached a level whereby it could punish those who challenged its interests, particularly on territorial issues, while maintaining confidence in its ability to preserve a stable external environment to support its domestic development. With the spread of the social media, Chinese leadership also observed that a more muscular approach to foreign affairs garnered widespread public support. An implicit compact formed inside China: The Communist Party would continuously improve living standards and elevate China on the world stage, and in return, Chinese citizens would not challenge the Communist Party’s monopoly on power. Xi took power in 2012 after cracks in the edifice of Communist Party rule had started to become more visible and questions over its economic model intensified. He focused on building a strong military, viewing it as key to restoring China to its past position of prestige. He also deepened regional countries’ economic dependence on China, using military superiority and economic dependence to compel neighboring countries to acquiesce to China’s top interests, creating a benign environment for China’s domestic development and a platform for consolidation of its regional leadership. Xi’s boldest move in the region was launching a massive land reclamation project on nine disputed features in the South China Sea. Regional countries—with the notable exceptions of Vietnam and Japan—grew more cautious in challenging China over territorial disputes, due to the perceived risks of economic or other retribution. This, in turn, fed Beijing’s belief that its strategy is making headway in the direction of consolidating control over China’s disputed territorial claims and reestablishing itself as the preeminent power in East Asia. 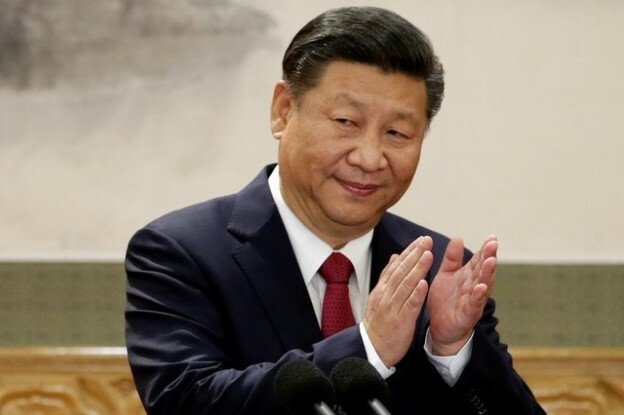 Xi also advocated for a “new model of great power relations” between the United States and China, whereby both sides would seek to accommodate each other’s top interests. China has sought to hold its complex relationship with the United States as a relatively stable and constant variable as it has worked to make gains elsewhere. The one major exception to China’s pattern of opportunistic activism in East Asia has been its handling of North Korea. China has demonstrated hesitancy. In every round of negotiations, China has sought to water sanction efforts down to the maximum extent possible. After all, it does not share the same threat assessment, and it is concerned that the United States is inflating the threat from North Korea as a pretext for degrading Beijing’s strategic environment. Moreover, China is skeptical that the United States or the South Korea would initiate an attack on North Korea, or that South Korea and/or Japan will decide to go nuclear. Finally, there remains a lack of consensus in Beijing for seriously squeezing North Korea, both because of fear that such actions would invite the very outcome China’s strategy is designed to prevent (i.e., regime collapse, societal upheaval, instability along China’s border, and refugee flows into China), and also because conservative, military-affiliated voices inside China do not want their predecessors’ sacrifices during the Korean War to have been made in vain. Beyond the Asia-Pacific, too, China has grown increasingly active in recent years. It has deepened relationships with virtually every other major actor outside of the region, both to bolster its role as an influential global player, and also to dilute any risk of a return to unipolarity, with the United States as the preponderant power. To that aim, Beijing found a largely willing partner and supporter in Moscow. They share largely overlapping views on fundamental issues of identity, anxieties about internal subversion, and ambitions for regional preeminence. They have shared “best practices” on suppressing dissent and limiting outside influence in internal affairs. In the process, and through their examples, the two countries have spurred somewhat of an organic authoritarian counteroffensive. Impending challenges for China include sustaining BRI and avoiding a breakdown in relations with the United States. There is a structural misalignment in expectations on North Korea that will be difficult for both countries to reconcile trade war, stable periphery. Some Chinese leaders have made an uncharacteristic display of triumphalism, suggesting the time is rapidly approaching when China will be able to reclaim its historic role. Alice Ekman examines Xi Jinping’s policy to “spread China’s voice well” in order to “present China as a builder of world peace, a contributor to global development, and an upholder of international order.” Ekman introduces the term “discourse softening,” a Chinese tactic of repeating its official concepts and key expressions (such as “Community of Common Destiny” and “Belt and Road Initiative”) and adopting expressions that are widespread and consensual in multilateral forums, but with a twist that alters their meaning. Abroad, Xi Jinping does not use red rhetoric such as “Western hostile forces” or “mass line campaign,” which are still used today in intra-Party and domestic communications. China instead is harmonizing its international communications with the help of Western public relations agencies and advisers. The lexical gap is narrowing, but what Ekman calls the “definition gap” is widening: Chinese leaders and many of their foreign counterparts are using the same words but they actually mean very different things. A risk is that Chinese definition becomes definition of reference in many countries, as China invests massively in its cooperation with and communication towards developing and emerging countries. A new perception of China emerges among part of the foreign policy, academic, and media community, which takes its official discourse at face value. China’s discourse softening is perceived as a sign that it increasingly shares with many liberal democracies a similar approach to the world and its current challenges. A second consequence is that joint declarations and statements signed with China—bilateral or multilateral—become based on misunderstandings, and implementation of such statements lead to international actions that were neither expected nor desired. Reducing the definition gap is a difficult task because it does not only require full identification of the gap among middle-level officials and practitioners of diplomacy, but also necessitates their ability to inform higher-level policy-makers—those who will ultimately sign joined statements. Researchers and officials from countries who previously experienced Soviet-style propaganda, such as Poland, often appear better armed to read in between the lines of Chinese official communications, argues Ekman, but others are more susceptible to misinterpretation. China counts on the support of developing and emerging countries, foremost among them Russia, with whom it shares a vision of a post-Western world order. China’s communication activism is part of its broader ambition to become a norms- and standards-setter. In addition to the promotion of an alternative model of development, China is promoting an alternative model of international relations (“new type of international relations”)—based on economic and security partnerships rather than alliance systems (and certainly not a US-led one). Acknowledging the definition gap is helpful: it is a prerequisite to understanding diverse and often conflicting approaches towards a specific issue. Different definitions often reflect deeper divergences, related to the way countries approach the issue at stake and their hierarchy of priorities. In the absence of their clarifications, the risk is that in few decades time, the definition of the key terms of reference used in international settings changes in a direction that was not anticipated nor wished, altering the terms of the international debate and the focus of international organizations. Another, more anecdotal risk, emerges, too: many senior European or US politicians and diplomats may write in their memoirs in 15-10 years’ time, “that was not what I meant!”—referring to terms of key joint statements they are signing with China today. Southeast Asia occupies a special place in China’s foreign policy; consolidation of good relations there is an essential component of China’s periphery diplomacy. Within the framework of China’s ambitious BRI, Southeast Asia sits at the juncture of the Silk Road Economic Belt and the 21st Century Maritime Silk Road. Transportation networks, especially in Myanmar, Laos, and Cambodia will enhance China’s access to the Indochina peninsula and the Indian Ocean, and further consolidate its political and economic influence in the region. The impressive pace of infrastructure projects proclaimed by China is not matched by the constant delays, repeated negotiations, and doubts and concerns by these states, including slow or no progress in the Kyaukpyu Special Economic Zone in Myanmar, the Sino-Laos Railway, and the Sino-Thai Railway. Fundamental questions abound about their political, economic, and financial implications for the sovereignty, national security, and financial security of these countries. Yun Sun reviews the potentially negative implications of these three projects, arguing that the mismatch between Chinese and Southeast Asian capacities and aspirations will continue to hinder the progress of ambitious projects. China paints a glorious future picture in Kyaukpyu for Myanmar, including job creation, port revenues, transportation improvements, trade facilitation, tax revenues, local education, and other corporate social responsibility programs. In fact, it promises more than 100,000 jobs. Yun argues that Myanmar has a good chance to win, yet such a win requires sophisticated calculations. The long delay in the commencement of development suggests questions on the Myanmar side. Seen as a victory for China’s “railway diplomacy,” the Sino-Laos railway project promises to turn Laos from a landlocked country into a transportation hub for mainland Southeast Asia. The railway could make important contributions to Laos’ national economic development. The project commenced within a month of the signing of its agreement in November 2015, and is expected to be completed within five years by 2021. Yet, observers still question the financial soundness of the project and worry that the total cost would place too heavy a burden on Lao’s economy. Laos needs to think carefully about what industrialization assistance or trade facilitation the railway project could create for sustainable development. Should Laos fail to repay its loans, China still gets to extend its transportation network, and failure of repayment will give China additional influence over Laos domestic and foreign policy. The Sino-Thailand railway project has proven to be even more difficult and delayed than the Sino-Laos railway. In the Chinese analysis, foreign competition, especially from Japan, has been an important factor causing repeated delays and renegotiations of the project. China’s “north-south” plan on regional transportation network has had to consistently compete against Japan’s “east-west” priority. In the case of the Thai high-speed railway, Japan offered a financial scheme with 0.1% interest rate under its ODA, which increased the leverage of the Thai government in negotiations with China. China’s initial “Rice for Rail” proposal escalated the domestic political crisis, which indirectly led to the collapse of the Yingluck government and triggered the military coup. It is conceivable that disputes associated with Chinese investment projects have had a destabilizing effect on the fragile domestic political equilibrium in countries such as Thailand. The Kyaukpyu special economic zone, Sino-Laos railway and Sino-Thailand railway, if realized, would be China’s largest projects in Myanmar, Laos and Thailand, respectively. In China’s BRI through Southeast Asia, these three projects carry distinct strategic importance. The Kyaupkyu SEZ is expected to open up China’s southwestern transportation network through Myanmar to the Indian Ocean. The Sino-Laos and Sino-Thailand railways would clear the transportation corridor from southern China through mainland Southeast Asia to the southern tip of the Indochina peninsula on land. They represent key components of the Silk Road Economic Belt and its convergence with the 21st Century Maritime Silk Road. Yet, the mega-infrastructure projects China is pushing under BRI in mainland Southeast Asia have encountered rejections or push-backs from the recipient countries. Between China and Southeast Asian countries, there is a clear mismatch of capacities and wills. Southeast Asian recipient countries are torn by at least two dilemmas: between economic benefits and financial security, as well as between economic opportunities and national security. While the Chinese projects will play a role in promoting economic growth and facilitate trade, they will incur significant debts and solvency problems. The Thai and Burmese rejections of the Chinese projects and astronomical budgets illustrate the vastly different expectations and refusal to bring on excessive debts for the Chinese strategy. Mega Chinese infrastructure projects could also exacerbate the internal fragility of the recipient states. In the case of Thailand, the Chinese “Rice for Rail” proposal and associated rice import plans contributed to corruption cases, which contribute to the military coup of 2014. China’s dominant ownership of the Kyaukpyu deep-sea port aggravated the tension between the Burmese military, concerned with sovereignty and security issues, and the Burmese civilian government, aggravating the country’s fragile political future. Across the board, all three projects are fraught with social and environmental concerns, including land grabs and compensation, lack of transparency and public discussion, the influx of Chinese workers, and opaque environmental impact assessments.